GET READY! Family Health, Wellness and Support Event is Coming April 10th! Final PA Meeting of the year! Do Not Miss it! 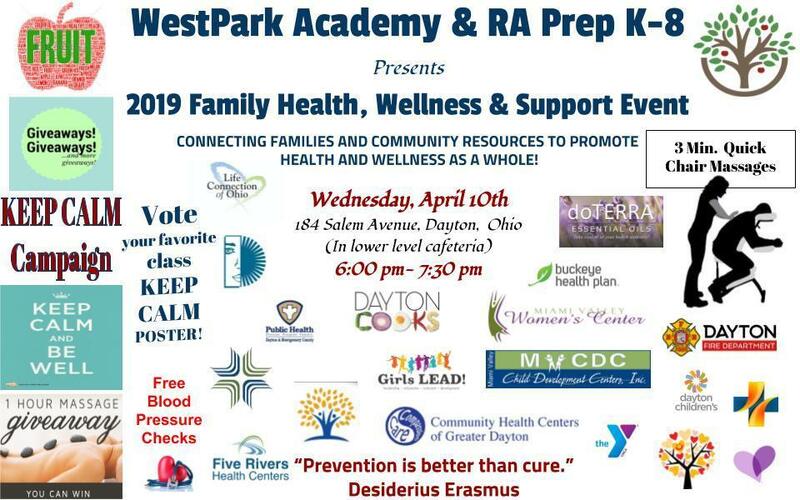 The 2019 RAS Family Health, Wellness and Support Event! Many organizations, lots of giveaways including a 1 hour Spa Massage, healthy snacks and fun for all! See you there, April 10th @ 6 PM!